Elegomall will celebrate Halloween Day in the nearing days. Now Count Down 3 days in Elegomall. 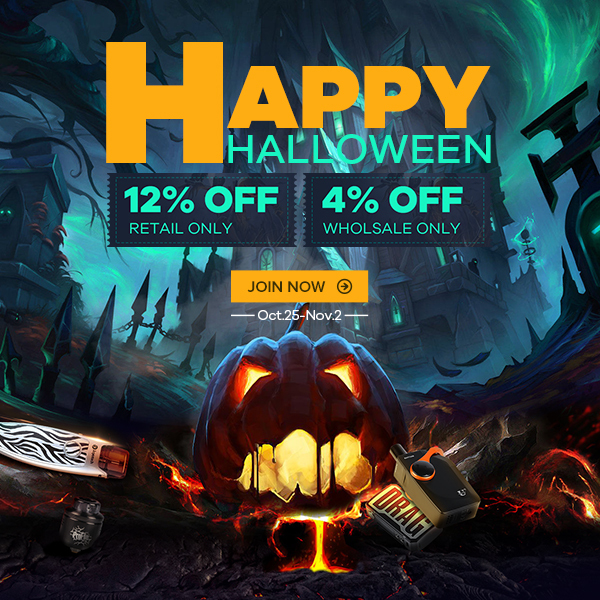 Elegomall Halloween vape sales Time: Oct.25-Nov.2. Today, Elegomall first to provide some best and cheap products for all vape users. You can log in and get the cheap price now. Also, all vape items in Elegomall are free shipping for the retailer customers. If any confuse, please feel free to contact our online sales. Here recommend some best products for you with cheap price. Let us find some details. Please log in Elegomall and shop the best cheap vape gears ASAP. Also, you can share with your friends about the promotions news. Here are some new colors for you. Let us review the OVNS JC01 Pod System now. 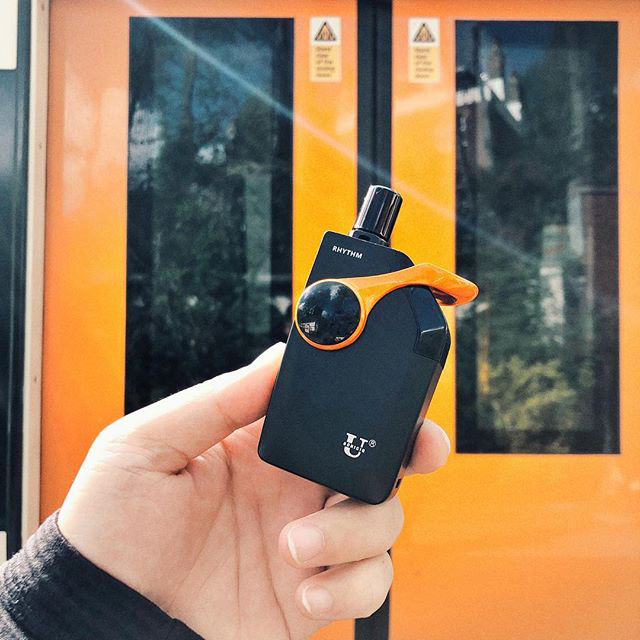 The OVNS JC01 Pod System is a slim and sleek vape, featuring a lightweight and compact design, draw-activated firing, and 0.7omL capacity pod cartridge. The OVNS is very thin and small in shape, holding a Juul pod at the very top, above the LED indicator lights. The draw activated firing means that the device can be designed without a need for buttons and can be used in a convenient on-the-go manner. OVNS JC01 comes with 2 different pods including JC01 CBD Pod and JC01 E-Liquid Pod. Not only are they can use JUUL battery, but the JUUL Pod also can be used on OVNS JC01. 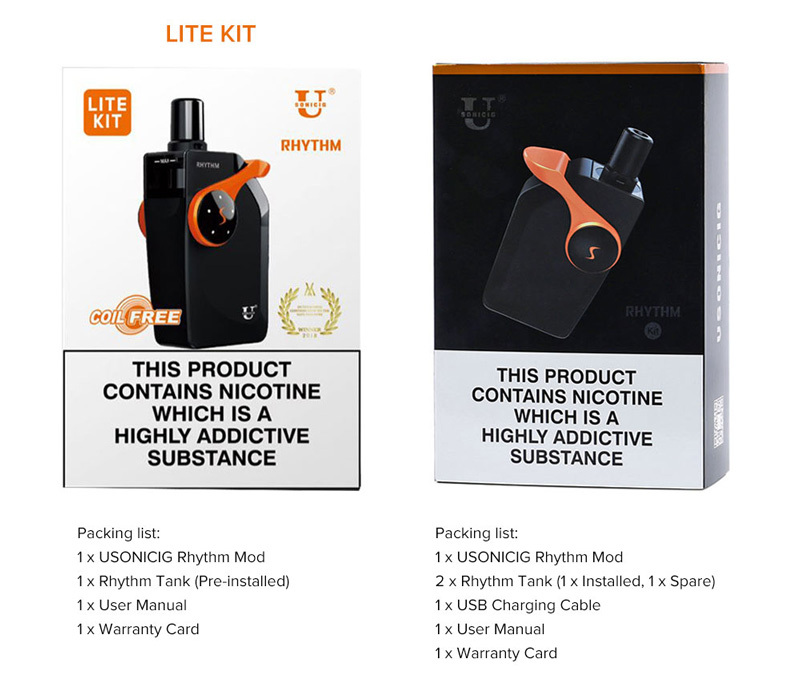 USONICIG Rhythm UltraSonic Pod System Kit utilizes ultrasonic vaping technology to produce smooth and low-temperature vapor without the use of traditional coils. 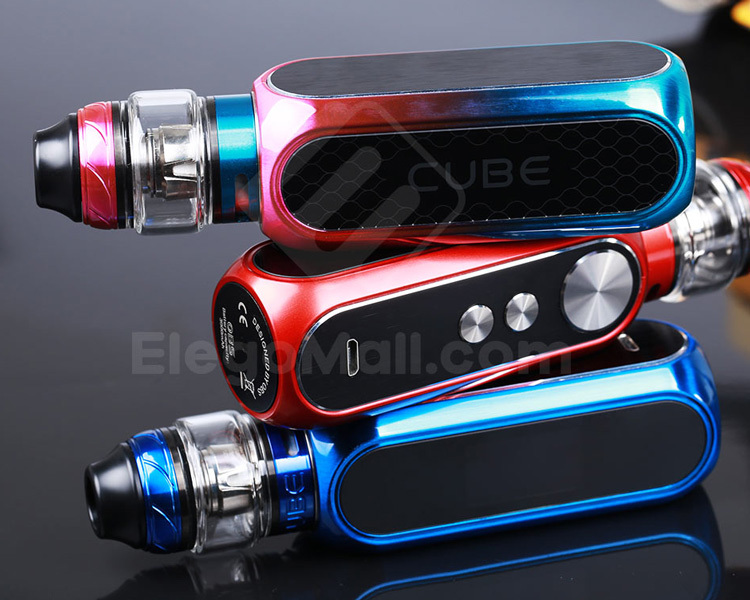 It features a built-in 1500mAh battery and across airflow system designed to produce dense amounts of vapor. Utilizing an ultra-high frequency ceramic vibration, the USONICIG Rhythm UltraSonic kit produces the cloud vapor. 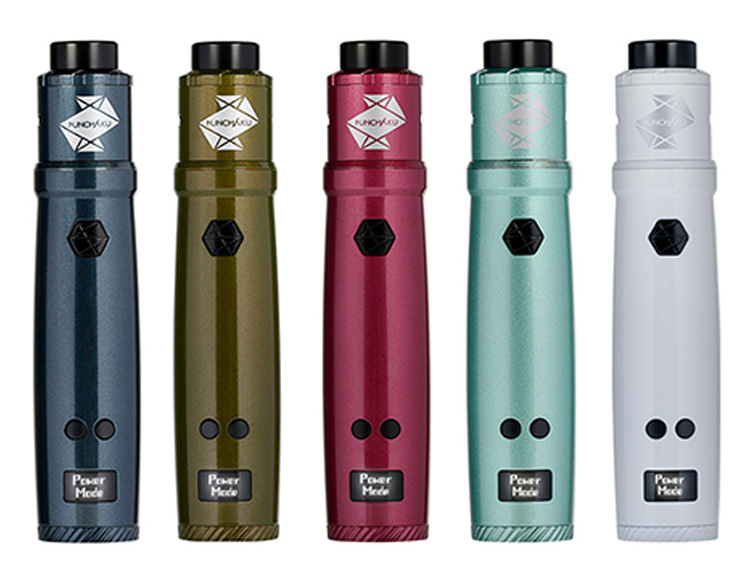 The Rhythm features a magnetic replaceable tank with a ceramic chip that provides smooth and low-temperature vapor. ALUR SLIK Pod System Kit is a card-style AIO pod system kit which is fit for smoking nicotine salt e-liquid. Powered by an in-built 400mAh rechargeable battery and 2ml e-juice capacity, the ALUR SLIK Pod System will meet your daily vapipng need. There is an intuitive LED light to tell you the remaining battery. Shop the ALUR SLIK Pod System Kit for smooth and delicious flavor. Eleaf iStick NOWOS 80W Kit and Wismec Luxotic DF 200W Kit are the brand new starter kit on the vape market. Let us review it. Elegomall is an Eleaf and Wisemc Official Online Vape Store. You can log in from Elegomall to get the lower price. We are all free shipping for the retail customers. 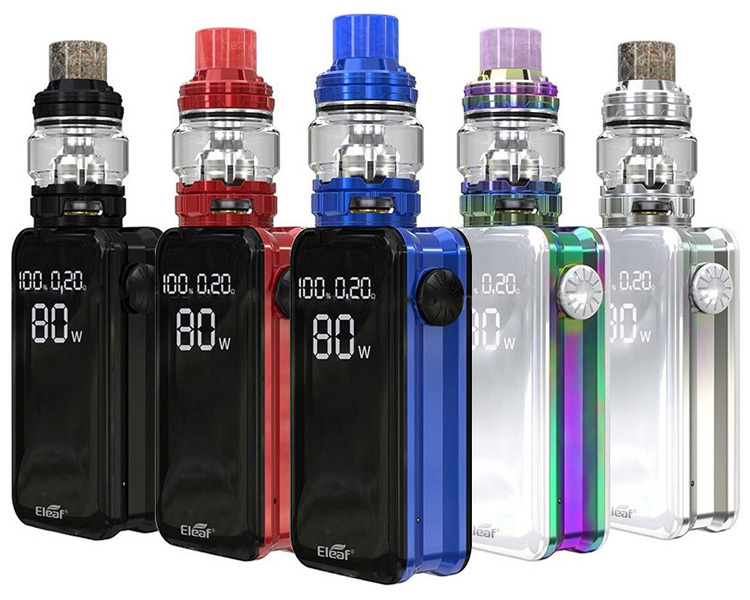 Eleaf iStick NOWOS 80W Kit consists of the Eleaf iStick Nowos 80W MOD and the ELLO Duro Tank. Powered by the built-in 4400mAh battery, the iStick Nowos supports an 80W max output. With the clear LED screen, you can see the indicators for current mode, power/temperature, coil resistance, output voltage, amperage and two battery indicators for the Invoke uses. The ELLO Duro atomizer that is paired with the iStick NOWOS also comes with two new kinds of dual mesh coil: the HW-M Dual 0.2ohm Head & the HW-N Dual 0.25 ohm Head, bringing you the best vaping experience. Wismec Luxotic DF 200W Kit is made of the high-quality zinc-alloy material. 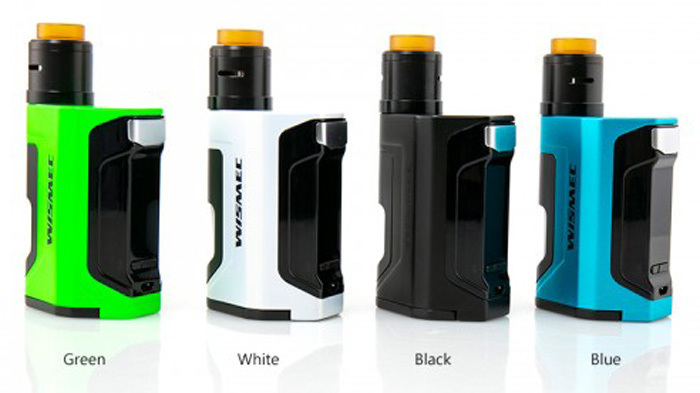 It consists of a WISMEC Luxotic DF Box MOD with a Guillotine V2 RDA. 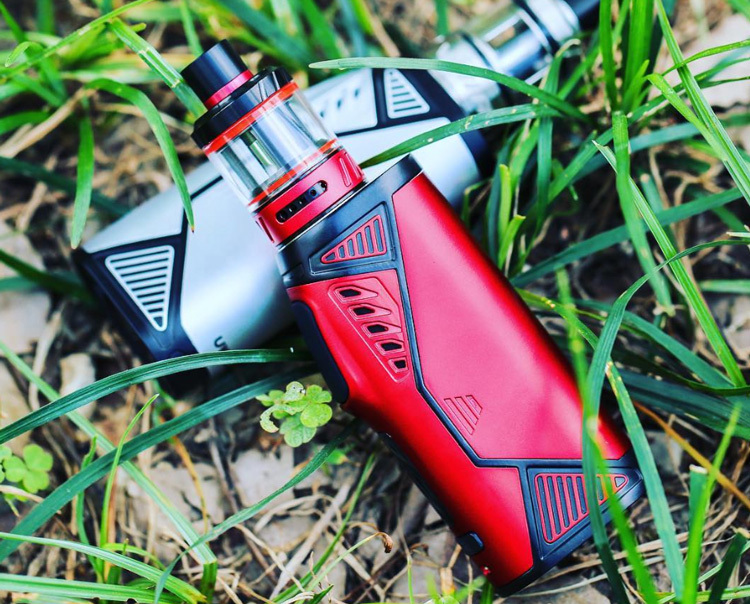 Featuring the reimagined squonk system and internal refillable e-liquid bottle of 7ml capacity, the dual 18650 box mod offers you 200W max output. Together with a large 1.3 inch display, easy-to-go user interface, spring-loaded 510 pin and 2A fast charging, the Luxotic DF Box kit will bring you a really simple and strong vape. Here recommend some pretty good starter kits for you. 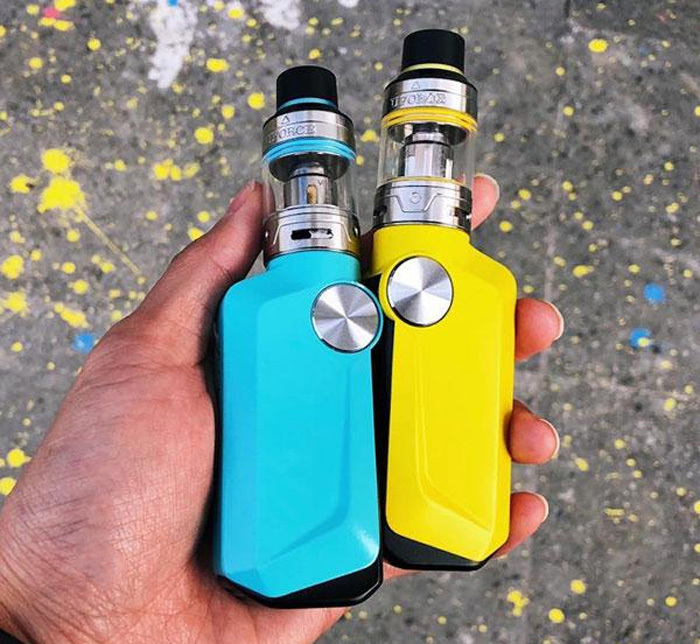 What do you think of the Eleaf iStick NOWOS 80W Kit and Wismec Luxotic DF 200W Kit? Starss Official presents us a brand new Carbon Fiber Pod System. It is the Starss ICON Pod System Kit. Let us check out more details about it. 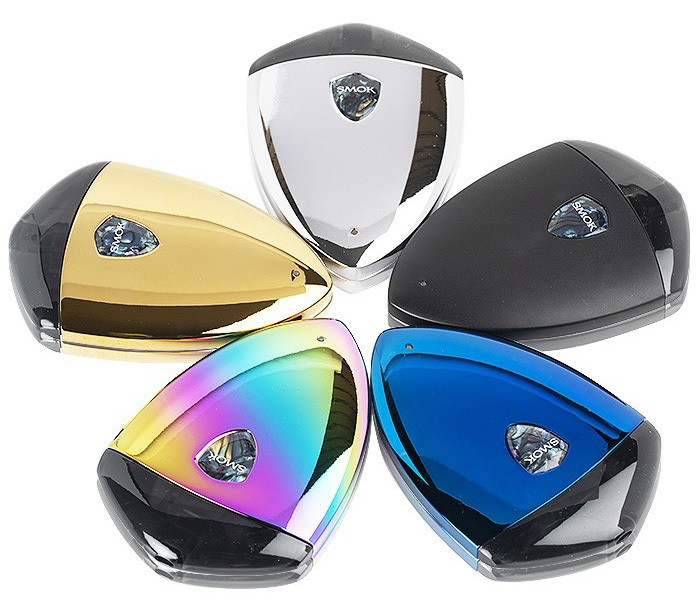 Starss ICON Pod System Kit is made of the high-quality Zinc Alloy and PCTG material. It consists of the 380mah built-in battery and 2ml e-liquid capacity that meet your daily need. 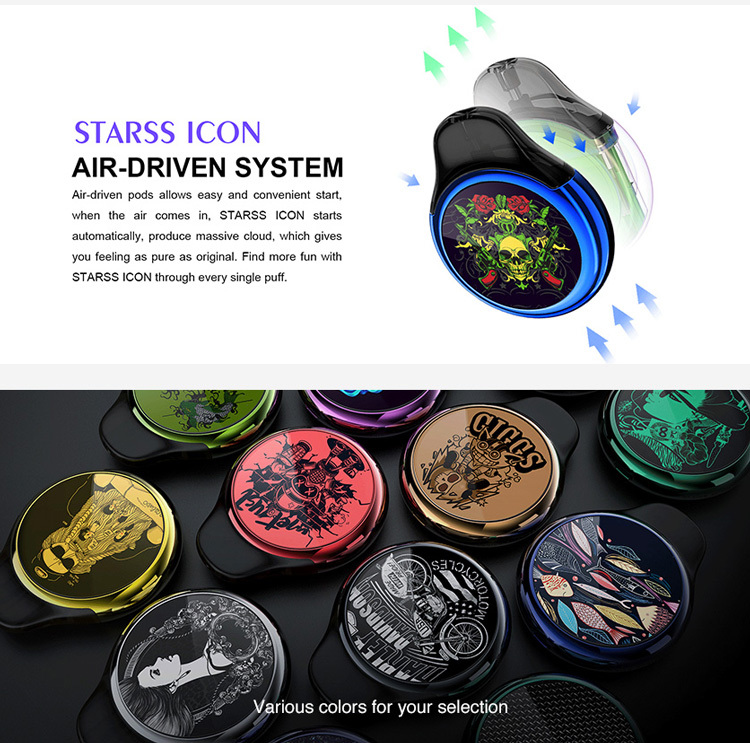 The Starss Icon is the first carbon fiber pod system in the vape world. With the round pod style, the Starss ICON Pod System kit is compact on your hand. Adopted with the air-activated mechanism, you can easy to operate it. Choose the shinning Starss ICON Pod System into your pocket. Here recommend some best and innovative pod systems for you. 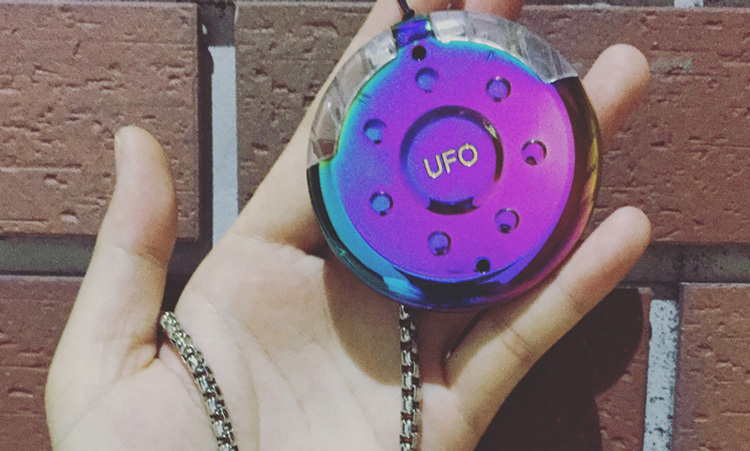 Khree UFO 2 Pod System Kit is combined with a 600mah built-in battery and 2ml e-juice pod cartridge. 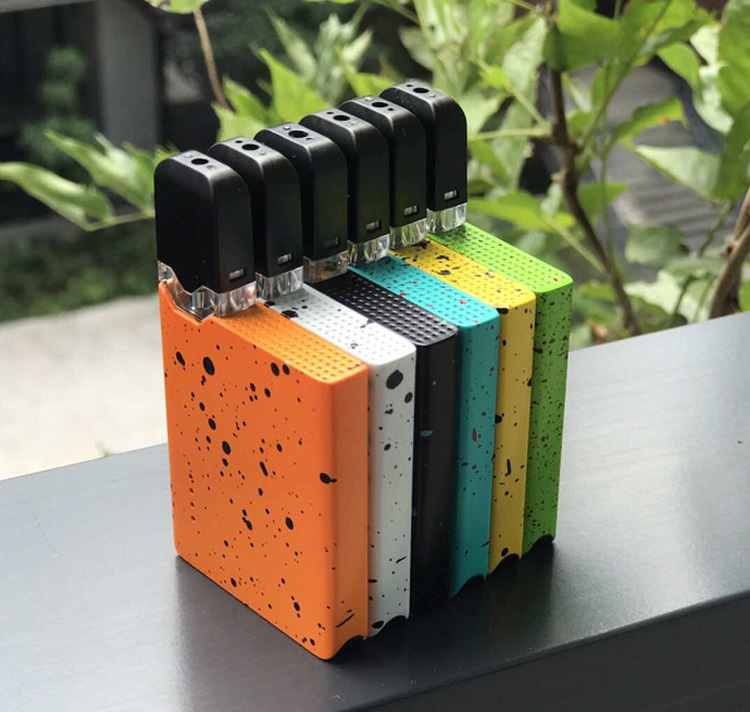 Features the draw-activated, lightweight dual open-pod system that allows you to have two separate e-liquids in one compact and pocket-friendly device. Moreover, with a fashionable lanyard in the package, you can hang it on your neck when you are out of doors. USONICIG Rhythm UltraSonic Vaping kit adopts the shape of the music symbol design creatively, the overall shape looks new and stylish. 2,400,000 Hits per second makes it satisfied your need better. Besides, this is an all-in-one kit, no coil, no wire, no dry hits or burnt taste ever. 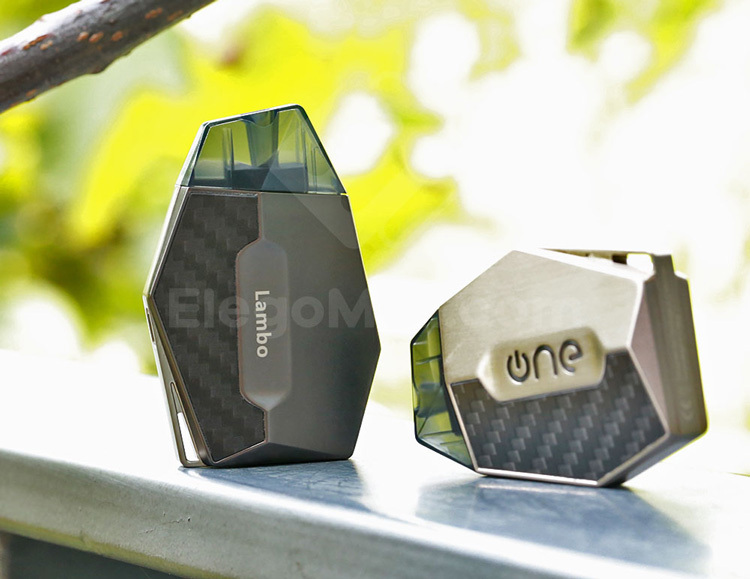 One Lambo Pod System Kit is made of the high-quality zinc alloy and carbon fiber. With the diamond cutting style appearance, it is a unique pod system. Consists of the 360mah built-in battery and 2ml pod cartridge that offer 270 times vaping. It is best for the newbie. 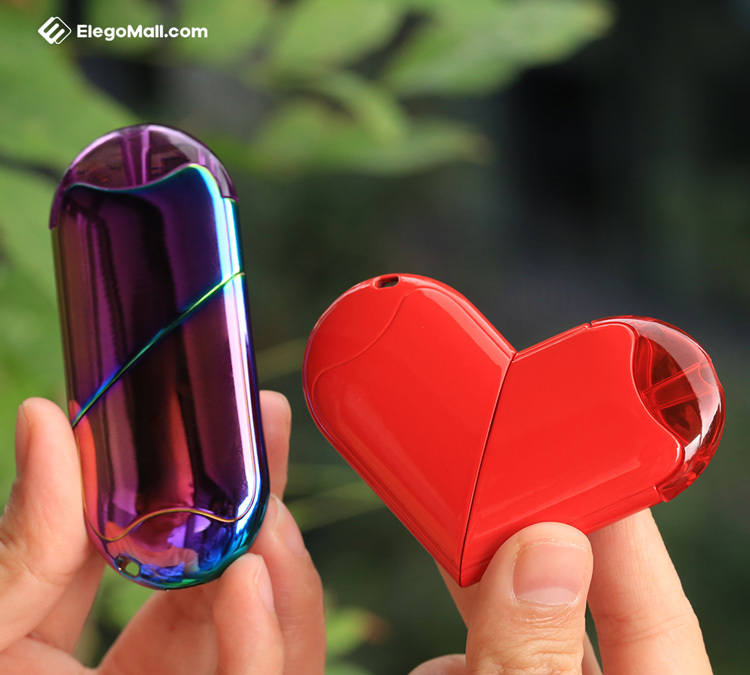 Perkey Lov Pod System Kit has a creative pod design that can transform between pen and loving heart. Powered by a 320mAh built-in battery and charging via Micro USB port is available. The Perkey Lov pod cartridge can hold 1.6ml e juice and refill via the 3.3mm filling hole. Working with the built-in 1.6ohm ceramic coil, the Perkey Lov Transformable Pod System Kit provides the purer flavor. It is best for the nicotine salt vaping. Would you prefer the magic Starss ICON Pod System Kit? Which compact pod system you would prefer? fuk me Pheric you need to slow down a bit. I'm trying to look for another vendor thread and its impossible. I've had to sort through almost 7 pages of your threads to find it. one dedicated thread. Times like this I wish there was a mod around. Chuck him on your ignore list Tara.......That will fix their posts for you. 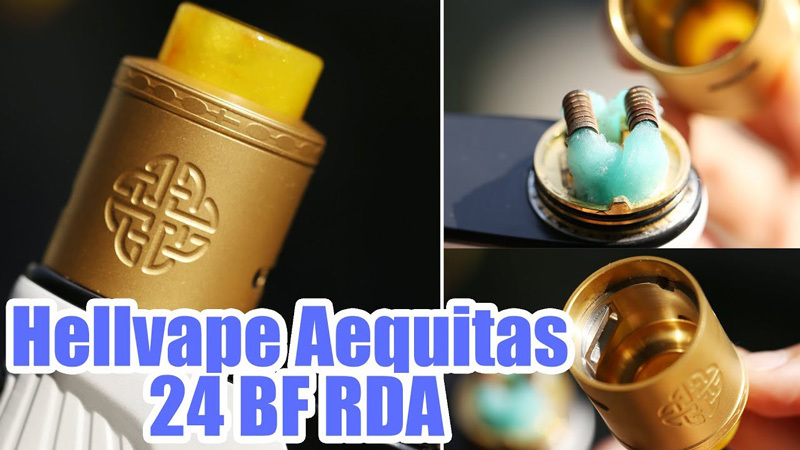 Today, here introduce some brand new RTA for you. They are Advken CP TF RTA, Joyetech Riftcore Solo RTA and THC Tauren RTA. 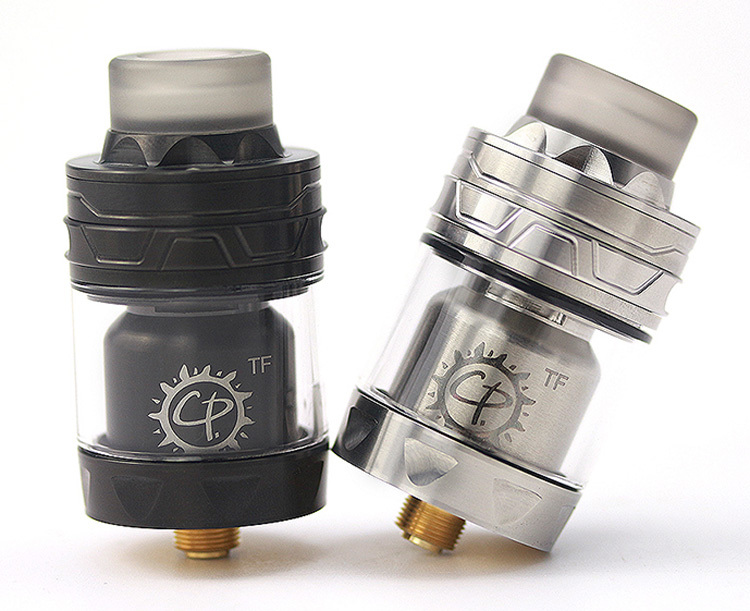 Advken CP TF RTA is made of the high-quality 304 stainless steel. Features the Top air-flow system with 3 levels to avoid leaking and condensation. Utilizing the airflow ring, you can easy to adjust the airflow to get the optional flavor. Includes the 810 grey PC drip tip that helps to promote the flavor. 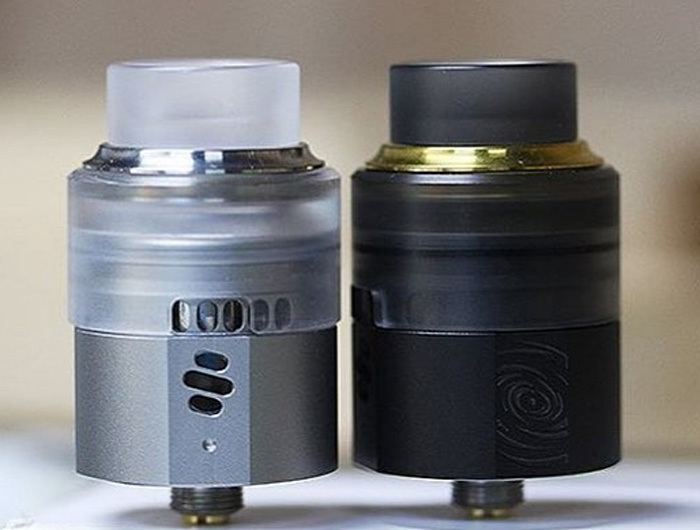 Advken CP TF RTA is designed for the easy massive clouds vaping. 3ml and 4ml capacity for your choose. 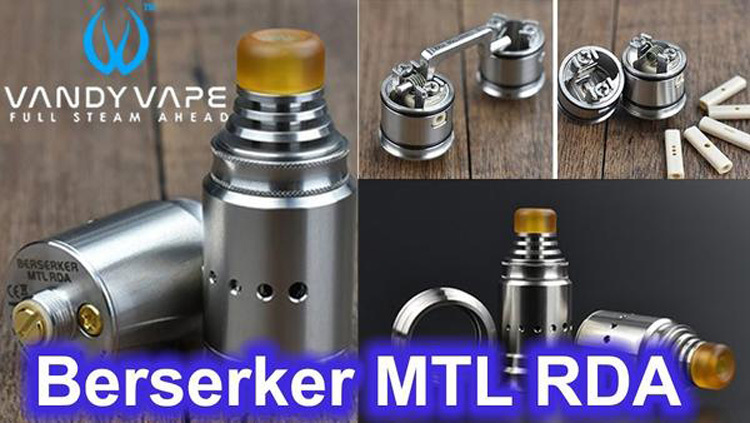 Joyetech Riftcore Solo RTA is upgraded from the Joyetech Riftcore DUO RTA. Features the creative coil-less design that use the famous RFCTM heater, which lasts longer than ever. This single RFCTM heater takes a horizontal building way to achieve a pure and delicate flavor (best at 30w). Having the molecule heating technology, it heats evenly while working. Joyetech Riftcore Solo RTA holds the 3.5ml e-juice to meet your vaping need. Get it to experience the smooth taste. THC Tauren RTA Atomizer is a 24mm rebuildable tank. Features hexagonal honeycomb airflow system that brings you the optional flavor. It has 26 micro hexagonal Honey Comb air holes on two sides brings you delicate flavor and intense throat hit. With knurling design, users find it easy to screw out the top cap and adjust the AFC ring. Get the THC Tauren RTA Atomizer now. Halloween Holiday will be coming soon. 1) You can get the big vape coupon to get your favorite vape gears at a lower price. ElegoMall provides 12% OFF Coupon and free shipping for the retailer customers. ElegoMall provides 4% OFF Coupon for the wholesale customers. 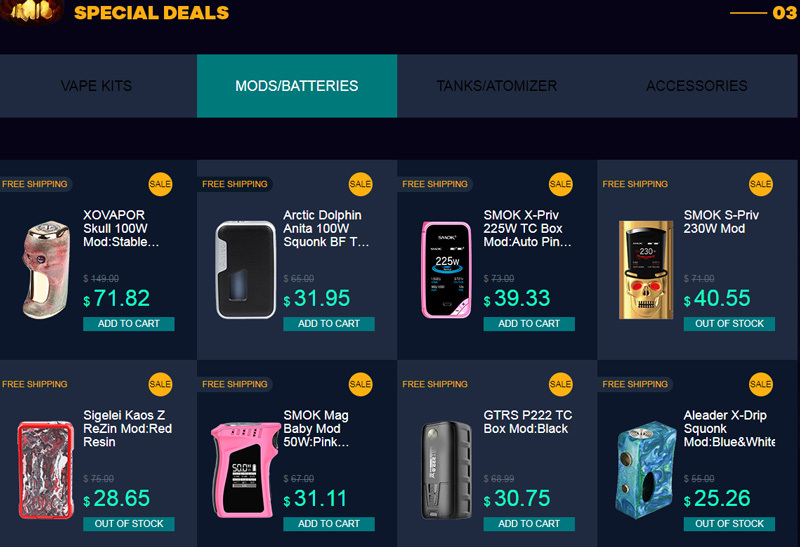 2) ElegoMall provides many best vape products at a lower price and free shipping. 3) ElegoMall provides special turntable game for you. 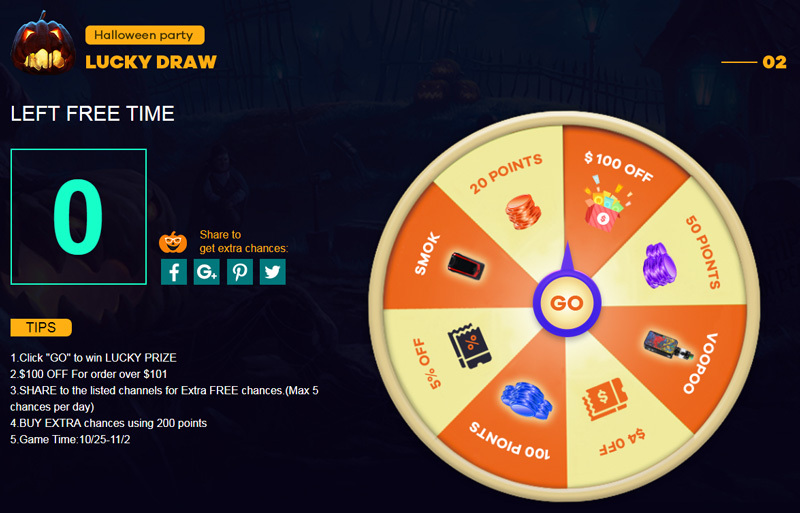 You have the chance to get the free gifts, Cash Coupon and Points from this game. You can Click "GO" to win LUCKY PRIZE. Too easy and very fun. Good luck to you. 4) Here are many sale products for you. You can buy it at the lowest price and free shipping. Please come here and know more surprise. Share with your friend about this good news now. Plus, Im not just concerned for me. He's ruining AVF for everyone. A good point, well made Tara. All about the free adverts.